There is again something to cheer for Safari lovers. 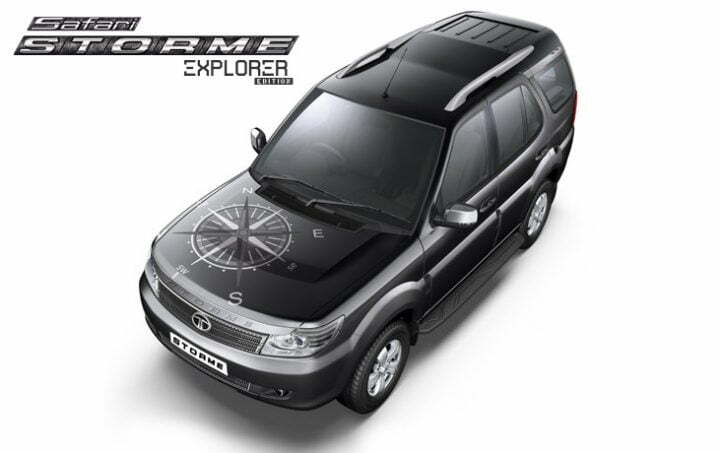 Having enjoyed a good response to the Safari Storme, Tata has come up with the ‘Explorer’ edition. 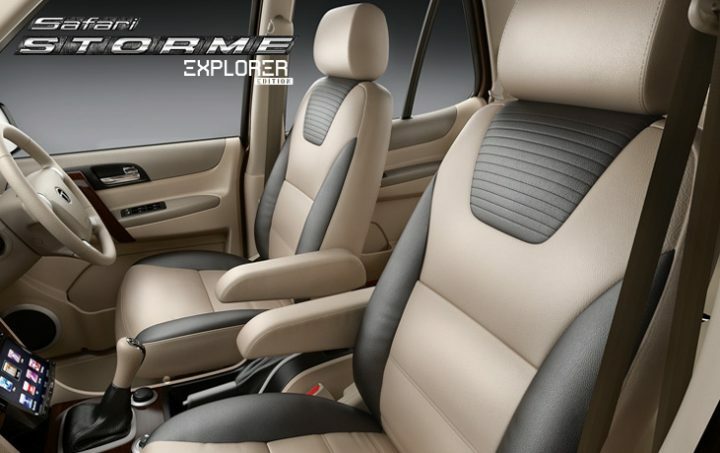 The all new Tata Safari Storme Explorer Edition from Rs 10.86 lakh across all Tata Motors showrooms in the country. So what do you get on the Explorer edition? No changes as far as the mechanics are concerned, you get visual additions outside and additional accessories inside-out for a more exclusive feel. There are some substantial differences between the original and the Explorer version n terms of looks, feel and functioning. Specially designed door visors on the special edition version allow the travelers to keep their windows a bit open even at higher speeds. Then there are chrome garnish for the projector headlamps and tail-lamps. There is also a sturdier nudge guard on the bonnet as well as on the sides in the Explorer version. 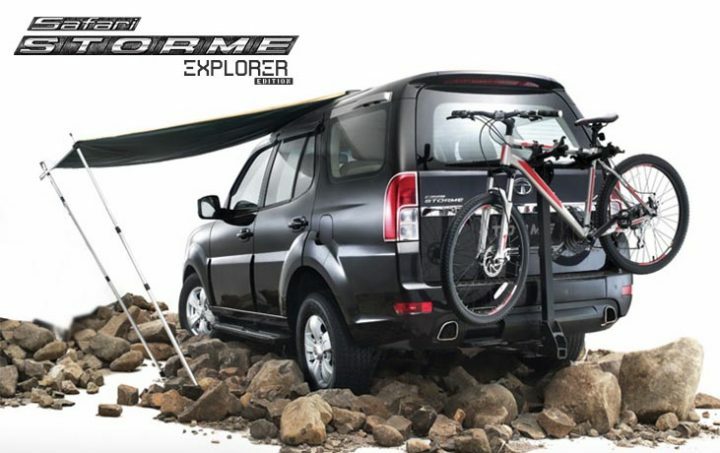 Moreover, this version will also offer you to choose owning a specially designed cycle carrier, a cargo basket to give you some extra storage space and a Canopy lets appended on the rooftop for turning the off-roader into a make-shift home in the wilderness. This Explorer kit comes for an additional price of Rs 57,000. There are many changes in the interior as well. To support your iPod, iPhone, USB sticks, memory cards and portable hard disk, you will have a new 2-DIN TouchScreen Infotainment System. There are many features to make your drive easier. These include the on-screen reverse parking assist, a robust navigation system and hands-free ability and phonebook operations. Hence, you can expect your driver assistance package to be sensible even when you are on the top of your wilderness. The car is powered by a similar Safari Storme’s 2.2-litre VariCOR turbocharged engine with VTT (Variable Turbine Technology) which is used in the earlier Storme. It can give up to 140 PS power and 320 Nm torque. The Storme had not settled with the earlier Storme, let’s see what this Explorer edition adds to the Storme. Safari Storme has been clocking decent numbers and the addition of this number is expected to up the ante.